The Ikan DH7 Full HD monitor features 4K HDMI capabilities all within a lightweight, affordable package. 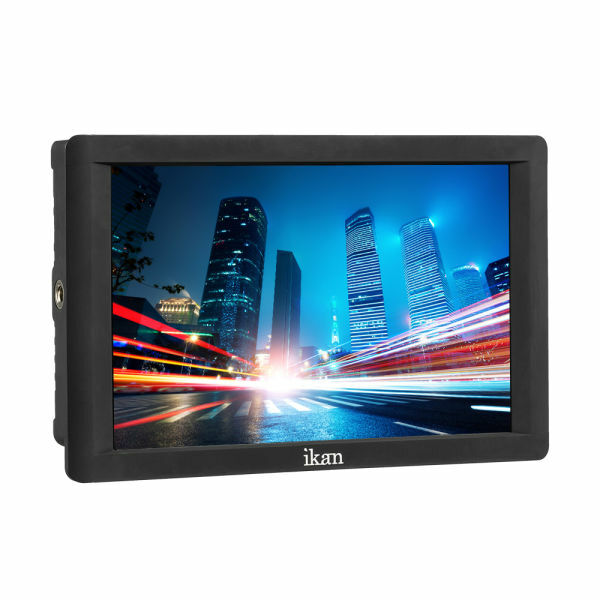 The 7" monitor's 1920x1200 HD resolution combined with an IPS screen delivers vibrant color and strong viewing angles. It can handle 4K signals from the most popular 4K HDMI cameras and offers two programmable feature buttons. It's no surprise the DH7's simple, practical design makes it the ideal size and weight for field production. 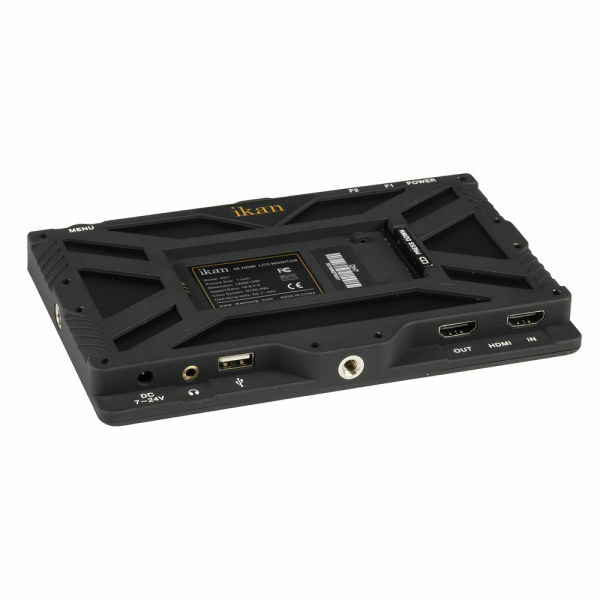 The DH7 supports HDMI input and output signals up to 3840x2160 video resolution. It also offers 1:1 pixel mapping and peaking to ensure everything stays in sharp focus. The high quality IPS panel will render the best possible image regardless of the monitor's signal. With deep black and nearly perfect viewing angles, the DH7 is the perfect companion for the shooter on the go. It's incredibly easy to set your 4K HDMI input and output signals on the DH7. A headphone jack and audio meter display allows you to create clean audio levels. A USB port is also included for software updates. 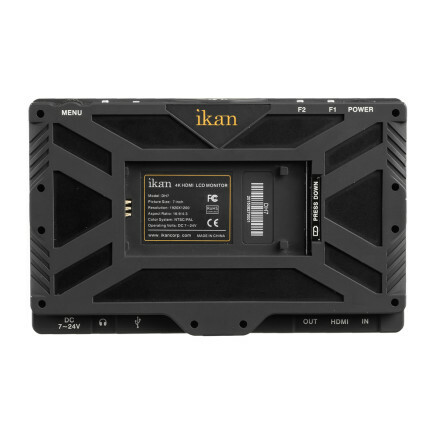 The DH7 monitor comes with the Sony L series and Canon E6 battery plate. 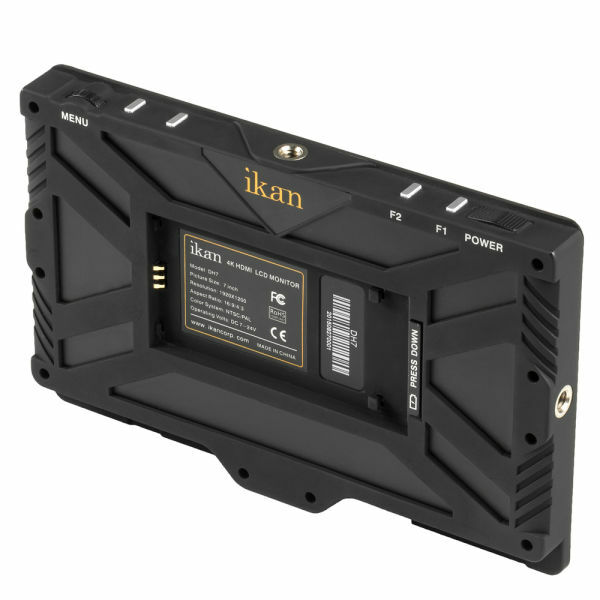 In addition to supporting Ikan's BP5 battery plate system, it's also compatible with the Canon 900, Sony BP-U, Panasonic D54, Panasonic G6 and the Nikon EL-15! Dimensions: 7.2 x 4.5 x 0.6 in. Shipping Dimensions (Metric): 76.2 x 374.6 x 196.8 in.